Perhaps no task is more complex in project management than requirements gathering. The main challenges are with stakeholders asking for things they don’t need, and failing to ask for things that they do require. Prototyping or competitive benchmarking can both help with this problem. However, in many cases neither option is available. Prototyping and works for projects where the production cost is low but if costs are higher prototyping may not be feasible. Competitive benchmarking is only possible if the competitors are present, for example if you are addressing a unique market or one that’s not particularly congested. So you are left with the problems that stakeholders may be asking for they don’t need. “100 points” validation is a useful exercise, because it forces the stakeholders and to make exactly the same as those of that you have to make. This is how it works. Having collected all the requirements from stakeholders, we then ask them to allocate 100 points across all of the requirements. If, for example, one requirement is absolutely critical above all others then they might ‘spend’ 100 points on that alone. If there are five requirements of equal value then they might ‘spend’ 20 points across all five. The only constraints are that the points must sum to 100, and no score for any requirement can be less than 0. In this way you’re able and to get stakeholders to supply quantitative information on what they need to see from a project. Unspoken requirements create a more formidable challenge. Speaking to a large number of stakeholders can reduce the risk of omission. Secondly, ethnographic observation, which involves watching people going about the tasks that the project will help address. This can help you spots areas that are important but may not be explicitly asked for in requirements for example if you might see a process which takes 30 minutes of people’s time each day and you know with the project you can help reduce the time spent on that. However it’s so commonplace in the thinking of the stakeholders that it is omitted from the project requirements. This just scratches the surface of a very thorny topic, but 100 point exercise and ethnographic observation can be useful tools for determining your next set of requirements. 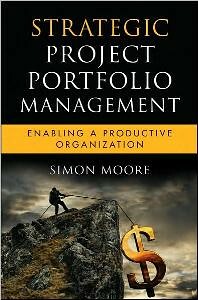 This entry was posted in Uncategorized and tagged 100 points exercise, requirements gathering, stakeholder management. Bookmark the permalink.